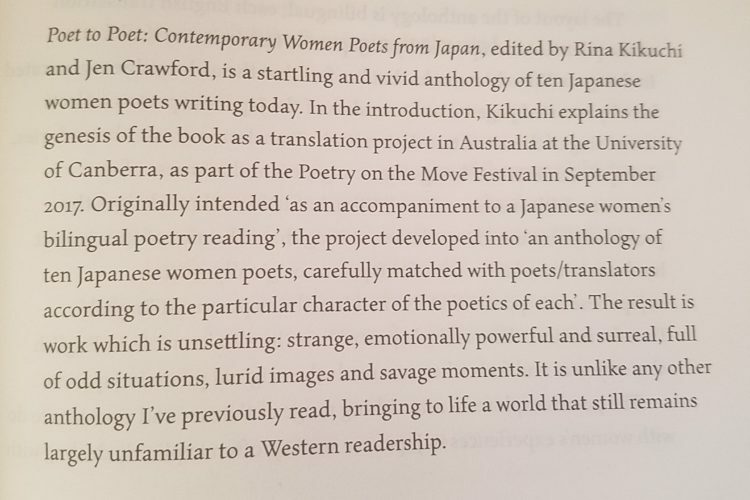 It’s a real thrill to see a review of Poet to Poet appearing in the latest issue of Modern Poetry in Translation. Thanks to Jennifer Lee Tsai for a perceptive review. Thanks to Cordite who have posted a review by Dominque Hecq of Melinda Smith and Caren Florance’s collaborative book Members Only. Read the review here.